Khurda: In a broad daylight heist, four armed miscreants looted cash worth Rs 60 lakh from the staff of a private finance company at Begunia in Odisha’s Khurda district on Thursday. 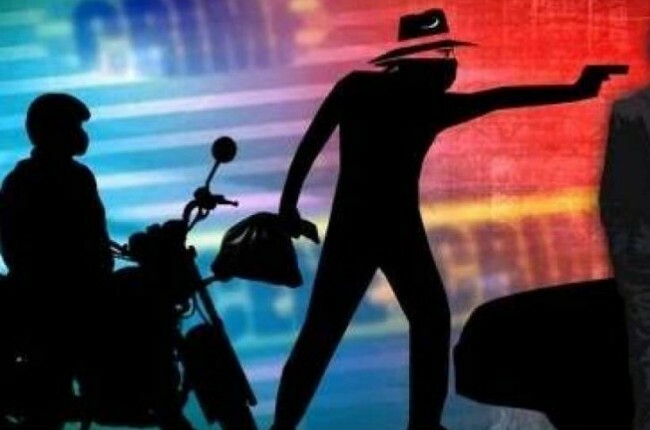 According to reports, some staff of the Radiant Cash Management Private Ltd were on the way to Bhubaneswar when four motorcycle-borne miscreants intercepted the vehicle near Gediapali under Begunia police limits in the afternoon. Later, they snatched the cash bag from the staff at gun-point and fled the area. The staff later lodged a complaint at Begunia police station. On being informed, Khurda SP rushed to the police station. Talking about the incident, SDPO, Khurda, Jugal Kishore Das said the police have launched a manhunt to nab the criminals by blocking all the entry and exit routes to Begunia and informed all police station in Khurda district about the incident. He also informed that the Radiant Cash Management Private Ltd had a tie-up with the IndusInd Bank and conducted cash transaction with the people through the bank.